They know that the MCAT was designed, as it’s main purpose, to identify the most viable med-school candidates; those who are most likely to succeed in med-schools. They want to identify the outliers – those who clearly stand out from the average applicants. So how do they ensure that only the outliers reveal themselves? They fill it with confusing, vague passages with questions that trick you, surprise you, and sway you into choosing ‘trap’ answers. They make it 7.5 hours long – demanding almost inhuman mental and physical test-taking stamina from you. They make you memorize and understand a substantial amount of information on massive subjects (PLUS they throw in CARS in there!). When they KNOW that most premeds have never really had to exercise their critical thinking abilities. Especially with the release of the new exam, they’ve made the MCAT an even more critical-thinking based exam. Content now plays a much smaller role but they still make you know ALL the content. Why was it created in this way? To ensure only the most viable med-school candidates, those who know how to get through this field of mines, can receive consideration for med-school. What you probably don’t know is that if your MCAT score doesn’t hit a certain threshold, they don’t even look at the rest of your application. It's a clear-cut filtering strategy. In 2016-2017, the average MCAT score of med-school acceptances was 508. In 2017-2018, the average MCAT score of students accepted to med-school was 510. On the other hand, the average GPA of students who get accepted to med-school is staying that same at around 3.7. Which tells you something about how important the MCAT score is. It's getting more competitive every year. So what's the biggest factor top MCAT scorer's give credit to in order to maximize their chances of being part of the 40% of med-school acceptances? Trying to get a 510+ on the MCAT is like trying to solve a Rubik's cube. Have you ever tried to solve a Rubik's cube? It gets frustrating, confusing, overwhelming. Before you know it, you want to just toss everything to the side and never think about it again. Unfortunately, unlike the Rubik's cube, the MCAT is not something you can just toss to the side. If you want to secure your future as a doctor by getting into med-school, you MUST figure out how to solve the problem of getting that 510+ that will make you competitive. You also have to figure it out within a given time frame before your test date (most premeds have 3 months or less to study). At some point as you're working on the Rubik's cube, you come to realize there are some people who solve it easily and quickly. They make it look super easy. These people have clearly mastered the art of solving the Rubik's cube! You realize that the only difference between you and these so-called 'geniuses' who solve it with ease, is that they just practiced solving it 'the right way' with the right strategies, over and over and over again, until they mastered it. If solving the Rubik's cube determined your future and came with time pressure, you would jump to find out these special strategies to solve it properly. You'd immediately ask these masters how they solved it and what strategies they used. Unfortunately, we know most premeds are trying to solve the Rubik's cube called the MCAT on their own. Confused about where to begin. Confused about how to make progress. Maybe they see a little progress, but it's just not efficient progress. Day after day, they're approaching it in the wrong way. Frustrated at why they can’t hit their score goals. In this case like we mentioned, it's to simply follow in the same footsteps of those who have already achieved what we want to achieve. Those who have figured out how to solve the '510+ MCAT within 3 months' riddle with ease. Those who know the right methods and strategies and have already proved that they can make it happen. Which is why we conduct ongoing research and hold paid interviews with 510+ (now 515+) MCAT scorers to bring you the most credible, most proven, most effective MCAT prep strategies in the world. Throughout our research, we’ve seen premeds who have improved their MCAT scores from 507 to 521, from 500 to 521, from 50th percentiles to 90th percentiles…. And the list goes on. Sometimes they were able to do it in a matter of weeks. 18 days is the record so far. Sometimes it took two attempts to see the improvements. What was different the second time? They learned and used the right strategies. They figured it out and so can you. For years we've provided premeds with top scorer strategies which have helped thousands of MCAT test-takers improve their score, who were once exactly where you are now; standing face to face with the biggest challenge of their premed careers. It's closer than ever before and it's well within your reach. We created MCAT Mastery to show you how you can get to the point where you have your choice of which school's invitation you want to accept. Without using proper MCAT strategy, most premeds fall for all the traps and tricks because they’re not used to this type of examination. 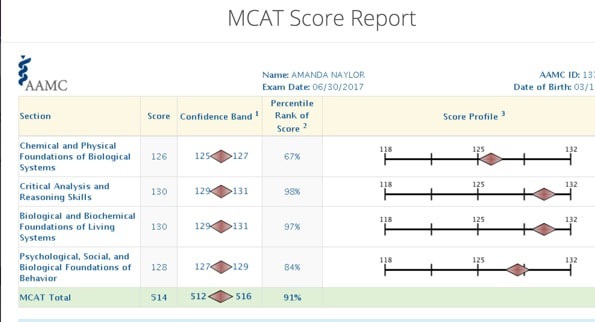 When times get difficult during MCAT prep, top scorers remind themselves, and you must too, that you don’t have to be the smartest person in the room to get a high MCAT score, you just need to be the most strategic. The trick is to use the best, trusted, credible strategies so you don't waste your time using ones that don't work. For example, when you apply these top scorer strategies, you will know how to correctly analyze questions to get hints that other people miss, which can lead you to consistently finding the right answer even if you know nothing about what the question is asking (which will definitely happen). You’re guaranteed to see sentences on the MCAT where you have no idea what the author is talking about. Question creators do this on purpose to throw you the average premed off. Top scorers on the other hand, know exactly how to handle these types of scenarios. With the most effective MCAT prep strategies, you're also able to create the most optimized timetable and study schedule that allows you to space out MCAT prep in the smartest way which will lead to more efficiency and maximum results. Whether you have a month left before the MCAT or whether you’re just starting out, there are always efficient steps you can take to schedule your study session. Top scorers also have strategies to finish all sections with enough time so you're not forced to rush or make hopeful guesses. Timing is one of the most common problems for MCAT writers everywhere. With the right strategy, you can get to the root of your timing problems and with one tweak in your approach, increase your MCAT score significantly. You also need to apply strategies to keep yourself motivated, focused, and in high-performance mode, so you don’t lose studying momentum and forget information and/or lose precious time. Losing any of these key factors during MCAT study could prove detrimental. With the right strategy, you'll know exactly how top scorers pace themselves and approach the MCAT to never risk losing these critical MCAT prep elements. One of your most powerful uses of MCAT strategy will be developing the ability to gain a perfect balance between understanding the passage/questions/answer choices and finishing the passage/section on time. This will be a direct result of knowing how top scorers apply passage-based deduction strategies. You'll understand strategies on how to take apart an MCAT passage the way AAMC (the creators of the MCAT) want you to but won’t tell you. There are so many right answer hints you can get from a passage that most people miss but top scorers pick up on, through simple deduction that anyone can learn. You'll also know you're on the right track when the strategies you use will allow you to distinguish between and remember the most important MCAT concepts and avoid unnecessary information that can cloud your mind during exam time and practice exams. One of the best parts is that with the right MCAT strategies, you'll be able to boost your critical thinking abilities, analysis and reasoning abilities, and problem solving abilities, through taking practice tests in a strategic way (yes, there’s a strategy to applying what you know properly). This will ensure you’re well prepared before the exam date with full confidence and no anxiety to paralyze you during the exam. They learned these strategies the hard way. 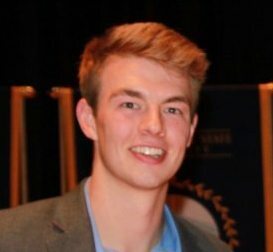 A lot of top scorers spent months making mistakes with their MCAT prep and figuring out the right methods and processes to scoring 510+ on the MCAT. Truth is, most premeds spend months and never end up figuring it out. They continue with studying the hard way. Making mistakes. Wasting time. Being forced to consider pushing test dates. Spending months trying to get scores to increase without seeing much improvement. Either way, you’re essentially trying to solve a Rubik's cube in record time without knowing the right process and methods – kind of ‘winging it’ and hoping for the best. After that if you don’t reach your destination, if your score doesn’t reach your target range, it’s a lot of time wasted and a lot of emotional pain to recover from. To get you these strategies, we created a top scorer MCAT strategy guide. You can literally just download this PDF and start reading it in the next few minutes. On the strategy guide download page, we have a lot more reviews of past premeds who have used this strategy guide to increase their MCAT scores and achieve their competitive 510+ scores. Like these future doctors, you too just need to follow a simple roadmap, or an instruction manual. No more burning emotional and mental energy, and precious time, and worse, not having anything to show for it. Remember, the MCAT is a filtering strategy. They’re looking for the outliers and comparing only the outlier applications to see who they’ll accept. Which means unfortunately, without a competitive MCAT score, everything you’ve worked for over the years, the references, the grades, the extracurriculars, the labs, none of that matters. A competitive MCAT score is what gets your actual application in front of admission committee's eyes. A highly competitive MCAT score. With their wisdom, we know for a fact that you can also get a score which will give you the best shot for getting into med-school. 510+ scorers realized there's the hard way to go about MCAT prep and then there's the easy way. Just like they did, you probably have dozens of questions about how you can improve your score and you’ve probably been trying to figure it out all by yourself. The easy way is where everything has already been figured out FOR you. The answers are now ready for you to just pick up and use. All the top scorer MCAT prep strategies we’ve compiled from our years of research at your fingertips. The best and the only strategies you’ll ever need to dominate the MCAT this year, at your fingertips. It’s the easy way, packaged. You can download the MCAT strategy guide here. 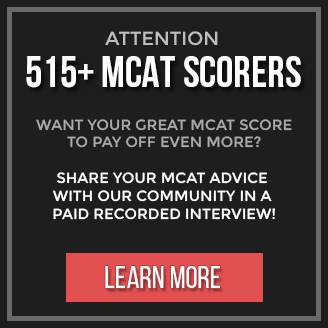 Even if you don't get the guide, at the very least be sure to sign up for our free 510+ scorer MCAT strategy email course here. Usually there’s no real proof like a high MCAT score to back up their offers. Be smart with who you choose to learn from. Credibility is the most important factor because this phase of your life is literally determining your future. Have you joined the Free 10-Day 510+ Scorer MCAT Strategy Email Course yet? We'll send you a different 510+ scorer MCAT strategy everyday for 10 days! Enrolment is free for a limited time.